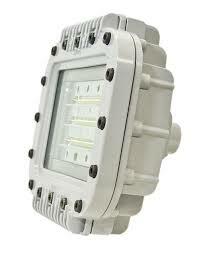 This Dialight Safesite LED Explosion Proof Area Flood Light is used for many industrial applications. It comes in several variations and wattages. The one listed below is a 70 watt 5,800 lumen Class 1 Division 1 Light. Used in Oil and Gas Applications, Paper Mills, waste treatment areas, etc. Constructed of powder coated aluminum. operating temperature -40F to +149F.